Next day delivery, a low price and volume discounts. 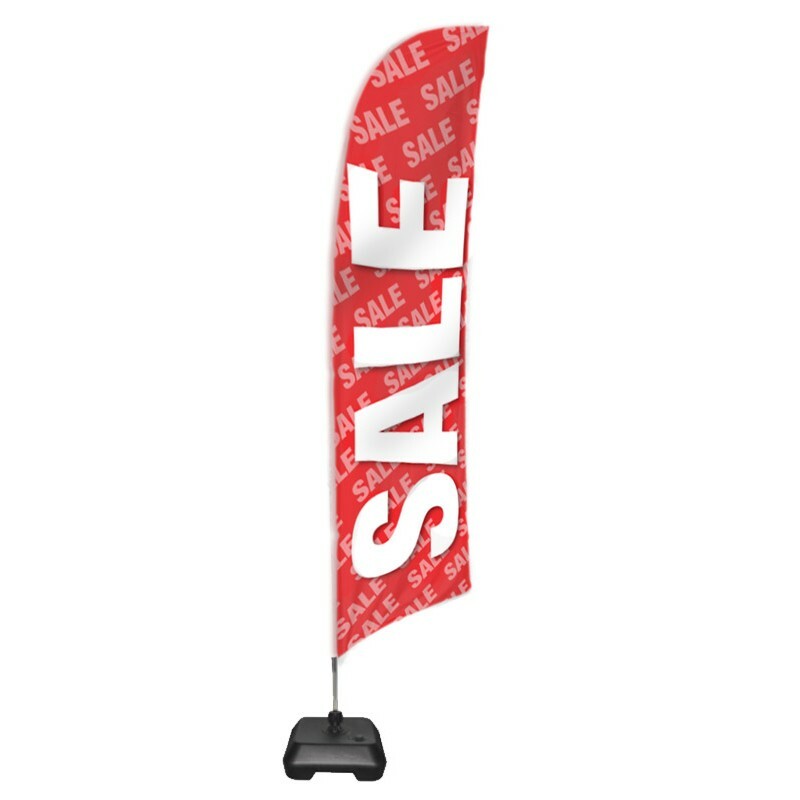 What’s not to love about our 'Sale' pre printed promotional feather flag. 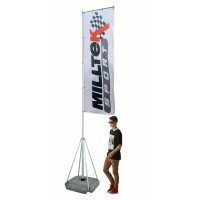 At 2.8m high it is designed to make an impact indoors or outdoors. The pre printed design has a simple 'Sale' message that can be used time and time again. 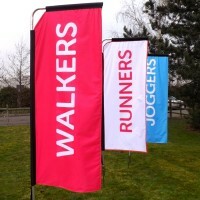 Bright colours and the movement of our popular feather flags will get you noticed by passing trade. 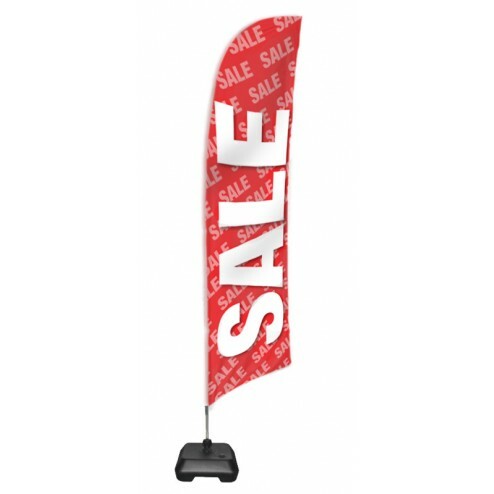 As with most flags, it is printed on the front only so that you see the word 'sale' in reverse on the rear. Choose from either a spiked base for soft ground or a water fillable base for use indoors or on hard surfaces. 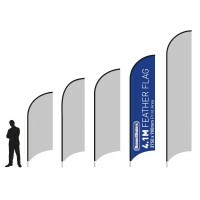 The flagpole is a full fibre pole giving you the reliable performance you are looking for. 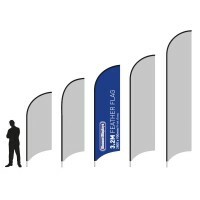 Suitable for wind speeds up to 18mph. 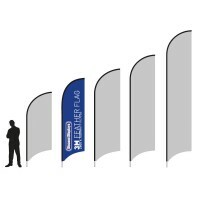 In stronger winds, it is always advisable to bring your flag in.